Imagine a world in which the starting lineup to your fantasy football team included Aaron Rodgers, Todd Gurley, Ezekiel Elliott, Antonio Brown, DeAndre Hopkins, Odell Beckham, and Travis Kelce. This would also be the alternate reality in which you are happily married to Gal Gadot or Ryan Gosling (for our female readers) after strategically bumping into them at a movie premiere because you are a media mogul with an estimated net worth of $500 million. Has the “kick” from the 2010 Oscar-winning film Inception taken place yet? The probability is low that the other owners in your fantasy football league will throw in the towel the entire first round, you’ll have to be more strategic in having the perfect points per reception or PPR draft. The purpose of this article is to provide you a line of sight of the best pick for each round according to the consensus average draft position data at FantasyPros. 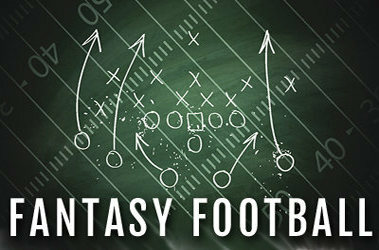 It consists of ADP data from Fantasy Football Calculator, MyFantasyLeague.com, CBS Sports, NFL.com, and RTSports. Now with the 6th pick of the 2018 perfect fantasy draft, I select…..
Kamara averaged 19.7 fantasy points per game and finished with positive rushing and receiving fantasy points over expectation. He finished as the RB3 in PPR formats despite being given 125 fewer touches than any of other top-5 backs. The New Orleans Advocate expects Kamara to see 14 to 15 touches per game during Mark Ingram’s four-game suspension. He played more snaps than Ingram over the Saints final eight games of the season. 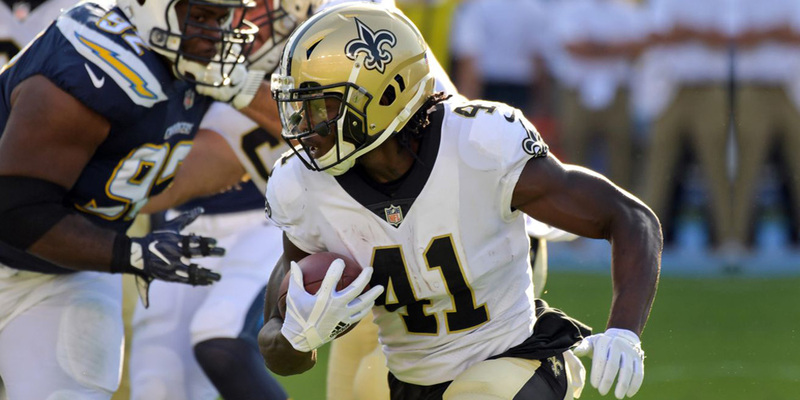 Kamara will have a chance to solidify his role as the Saints lead back running behind the second-ranked offensive line in Adjusted Line Yards according to Football Outsiders. He is well worth a first-round pick in drafts this summer. Adams enters the season as the undisputed No. 1 receiver for the Packers. He has finished as a top-10 fantasy WR in PPR back to back seasons and has been very effective on a per game basis over that time frame with positive receiving fantasy points over expectation. Did you know that Adams had the highest red zone wide receiver target share last season? He is a candidate to lead the NFL in touchdowns last season with the return of a healthy Aaron Rodgers back under center. Adams signed a four-year, $58 million contract extension back and will see a high target share. One concern I do have is that he has suffered three concussions over the last two seasons. Adams is a medium injury risk according to Sports Injury Predictor. At only 25 years of age fantasy players have not seen the best of him. The departure of Paul Richardson and Jimmy Graham in NFL Free Agency opens up 31 percent of the team’s targets. Baldwin has regressed slightly since his 2015 breakout season, but has still been very effective on a per game basis over that time frame. Baldwin has been a top-15 fantasy wide receiver for three consecutive seasons. He could see more targets in the red zone after Graham led the NFL with 26 in 2017. Baldwin can be viewed as a high-end WR2 with upside. Drake is undervalued at his current ADP. He was very productive on a per game basis after taking over as the Dolphins lead back in Week 13. Drake enters the season as the favorite to lead the Dolphins in touches and offensive snaps. Frank Gore was signed in free agency, but the 35-year old is expected to be a change of pace option. One hurdle that Drake must overcome is the Dolphins offensive line. The unit ranked 30th in adjusted line yards, but fourth in open field yards according to Football Outsiders. This suggests the Dolphins running game was dependent on the RBs to make it work. The team did make upgrades at right guard and center. Drake can be viewed as a borderline RB1. Watson was a top-5 fantasy QB on a per game basis last season, but his season ended after only seven games due to an ACL injury ended his season. The news has been positive surrounding Watson’s recovery and rehabilitation and suggests he will pick up where he left off. His rushing potential, receiving weapons, and familiarity in the offense do not give me any apprehension in selecting him at his current ADP. The Texans defense will also place Watson in negative game flow situations. This unit ranked 20th in opponent yards per game (346.6) and ranked last in the NFL in opponents point per game (27.2). Watson is an elite QB1 with week winning potential. Crowder has positive receiving fantasy points over expectation up to this point of his career through 47 career games averaging 10.5 fantasy points per game in PPR formats. Crowder is undervalued heading into this season as a result of recency bias after an injury-plagued 2017. He did have a four-game stretch last season where he averaged 10 targets, seven receptions, and 103 receiving yards per game. Crowder excels at the routes that cover the short to intermediate parts of the field where new Redskins quarterback Alex Smith has completed a high number of passes in his career. All the signs are pointing to a breakout season from Crowder. Garcon was reunited with Kyle Shanahan and on pace for the third 1,000-yard season of his career before a neck injury resulted in him being placed on injured reserve. The 49ers ranked fourth in pass attempts per game in 2017 with 37.9 and Garcon averaged 8.4 targets per game until his Week 8 injury. He should see similar volume this season, but have better QB play with Jimmy Garoppolo now under center. Garcon is an excellent value pick. Since 2013, the last eight running backs who got at least $6.0 million in guaranteed money averaged 14.7 touches per game with their new teams, and all but one (C.J. Spiller) saw at least 11.8 touches per game. Lewis cashed in this offseason with a four-year contract worth $20 million with an additional $3 million incentives after enjoying a career year with the Patriots. Derrick Henry’s ADP suggests that he will dominate the touches in the Titans backfield, but I view it differently. 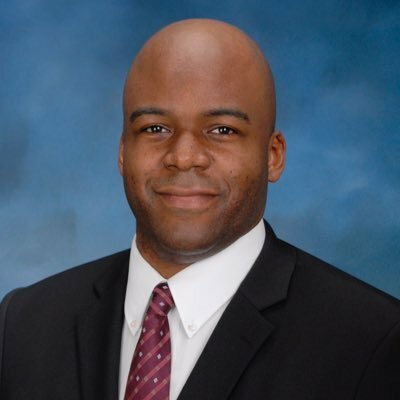 The Titans front office made an investment in Lewis and I envision the workload being split evenly. Both of them finished last season inside the top-10 in the Player Profile metric Yards Created Per Carry. Lewis’ receiving ability provides him with a higher floor and ceiling in PPR formats. Agholor finally broke out in his third NFL season finishing as the WR22 in PPR formats as the Eagles slot receiver. He produced 0.44 fantasy points per route and 2.04 fantasy points per target last season according to Player Profiler. Agholor also led the Eagles in red zone targets with 18. Jackson is in a prime position to bounce back in 2018 after a disappointing first season with the Buccaneers. 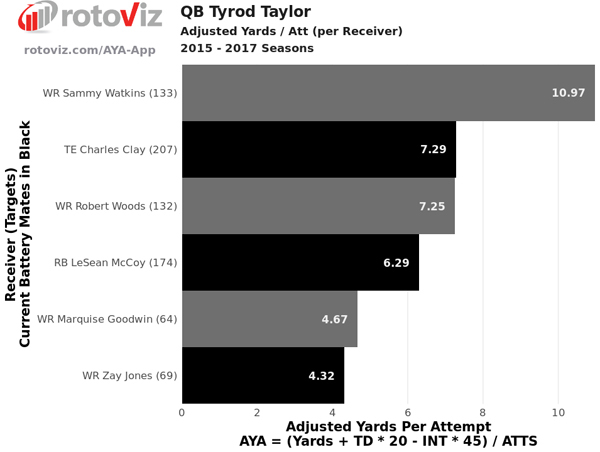 He can still threaten defenses vertically as demonstrated by ranking in the top-15 according to Player Profiler’s average target distance and target separation metric last season. Jackson and QB Jameis Winston focused on improving their chemistry this offseason. The Buccaneer’s offensive philosophy is to attack opposing defenses down the field. Koetter’s passing offenses are built on longer, slower-developing route concepts that include posts; digs and vertical shots. Jackson and teammate Mike Evans will be leaned on heavily this season. Ryan Fitzpatrick goes deep for DeSean Jackson again. The tight end position continues to see weekly volatility up and down. The point differential between the TE1 and TE3 in PPR formats last season was 31.1 fantasy points. Njoku is the late round TE I am prioritizing in fantasy drafts this summer. The Browns have a plethora of receiving weapons which could create opportunities for the second-year player. Njoku will also have Tyrod Taylor under center who heavily targeted TE Charles Clay during his time in Buffalo. Riddick’s role as the receiving back in the Lions crowded backfield should not change in 2018. He has 138 targets over the last two seasons. Breida’s finished last season with positive rushing and receiving fantasy points over expectation. He is projected to be a key contributor in an explosive offense with little competition for touches behind Jerick McKinnon. Breida is another player I am targeting in all of my fantasy leagues. It’s very early in camp, obviously, but RB Matt Breida continues to impress in both run and pass game. Breida running hard but also showing more polish as a receiver. Notable that he continued it today with pads on for first time. Ekeler was 10th in fantasy points per opportunity according to Player Profiler. Did you know he was the RB4 in PPR formats from Weeks 10 to 12 last season? Alvin Kamara, Mark Ingram, and Le’Veon Bell were the only backs with more fantasy points than Ekeler. 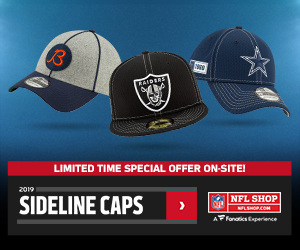 He will see limited touches behind Chargers workhorse Melvin Gordon who is classified as a medium injury risk according to Sports Injury Predictor. In the event that he misses significant time due to an injury, Ekeler could be a league winner. Who knows if TE Jermaine Gresham will be ready for the start of the season. The Cardinals did not add much help at the TE position during the offseason. Seals-Jones provided us a taste of the upside he possesses last season. He had 12 receptions, 201 receiving yards, and three touchdowns over the Cardinals final set games. The stars are aligning for a monster season from Seals-Jones. If this fantasy football team came to fruition I would be very happy based on projections for each player. The team features an impressive group of starters and an adequate bench to fill a void if any injuries took place. Garcon, Lewis, and Riddick were my favorite draft values with Breida being one player I am very open to reaching a round or two for. What are your thoughts on the fantasy team? Please leave a comment below or better yet reach out to me via Twitter @EricNMoody.